"... one of the most experienced security analysts in the field." 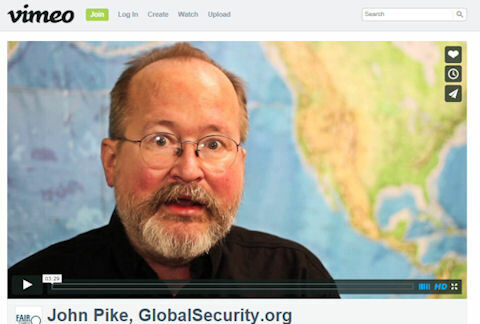 John Pike, one of the world's leading experts on defense, space and intelligence policy, is Director of GlobalSecurity.org, which he founded in December 2000. GlobalSecurity.org is focused on innovative approaches to the emerging security challenges of the new millennium. Internationally renowned for his depth of knowledge on a broad array of issues, Pike is widely noted for his ability to translate complex technical information into concise and pithy soundbites. He has consistently provided insight and understanding of world affairs, military, space and satellite technology to policy makers, the press and the public at large. Pike previously worked for nearly two decades with the Federation of American Scientists, where he directed the Space Policy, Cyberstrategy, Military Analysis, Nuclear Resource and Intelligence Resource projects. Pike developed the Federation's award winning website, and was personally responsible for creating most of the site's online content. He has also been at the forefront of utilizing satellite imagery to monitor worldwide weapons facilities. Frequently called upon to testify before Congress, Pike in 1983 established the Space Policy Working Group, comprised of Congressional staff and advocacy organizations concerned with missile defense issues. Ten years later, he set up the Military Spending Group, composed of public interest organizations working on alternative security strategies. Pike helped form the National Campaign to Save the ABM Treaty, and served on its Executive Committee. He is a member of the Council on Foreign Relations, and has served on a variety of non-governmental boards and advisory committees, including the Bulletin of the Atomic Scientists, the Peace Research and European Security Studies Center, and the Verification Technology Information Centre of London. He has been a consultant to numerous groups, including the United Nations Group of Government Experts on Confidence Building Measures in Outer Space. In 1991 he participated in the NASA International Near-Earth Object (NEO) Detection Panel, and served as a consultant to the NEO Working Group of the International Astronomical Union. Pike regularly provided commentary and analysis on space and security issues to PBS, CNN, MSNBC, Fox, ABC, CBS, NBC, BBC, NPR, and numerous print and online publications. Aerospace Weekly called him "one of the country's most credible space industry observers," and the Christian Science Monitor wrote that he was "one of the handful of American observers equally conversant with both the technological and political aspects of strategic defense and arms control." In 1986 the National Journal named Pike as one of the 150 "People Who Make a Difference" in Washington. In 1988 U.S. News and World Report, citing his work on space and defense, listed him among the 250 members of the "New American Establishment." And in 1994 he was named one of the 25 "Rising Stars Who Will Lead us into the Next Space Age" by the National Space Society's Ad Astra magazine. 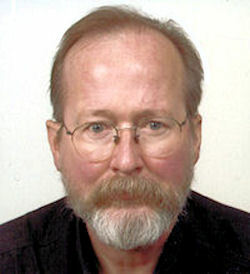 In 1991 Pike received the "Public Service Award" of the Federation of American Scientists, and in 1997 he was presented with the Open Source "Award of the Golden Candle" for his work on intelligence related issues. The author of more than 200 studies and articles on national security and space, Pike began his career as a political consultant and science writer. "Well, there's things that never will be right I know, And things need changin' everywhere you go, But 'til we start to make a move to make a few things right, You'll never see me wear a suit of white. Plato posits that the good life is the state of happiness. One gets the good life by having a harmonious inner self where reason is the master of our pride and our desires. One doesn’t need external goods for happiness. The reason for this is that the pleasures of external goods are fleeting. Only the higher, closest pleasures, most real pleasures are necessary. Reason is this pleasure. The role of reason is central by recognizing the role of the good the form of the good. Few will attain this level. These people will be leaders in the perfect state. This may not be the case if the state is corrupted by the rule of the rich or democracy. Epicurus definition of the life that would bring happiness is a life that is free from disturbance. A life free of disturbance is a life that is a life where pleasure is maximized and pain is minimized. Epicurus says you need external things to reach a happy life because he acknowledges that there is a certain level of material comfort that is required in his philosophy to be happy. The role of reason is recognizing the things that need to be in one’s life. The knowledge one needs for happiness is the nature of necessary versus unnecessary desires, the nature of the gods, the nature of death, and a life of contemplation and science. Anyone can have this life. A simple life with a few friends, not a political existence, because this is a life that doesn’t require much strife. "Life’s race-course is fixed; Nature has only a single path and that path is run but once, and to each stage of existence has been allotted its own appropriate quality ... It is not by muscle, speed, or physical dexterity that great things are achieved, but by reflection, force of character, and judgment; in these qualities old age is usually not … poorer, but is even richer.... death should be held of no account! For clearly death is negligible if it utterly annihilates the soul... with the old [death] is the result of ripeness. To me, indeed, the thought of this “ripeness” for death is so pleasant, that the nearer I approach death the more I feel like one who is in sight of land at last and is about to anchor in his home port after a long voyage.... old age is the final scene … in life’s drama, from which we ought to escape when it grows wearisome and, certainly, when we have had our fill." Our life is short and deplorable, and there is no salvation from death for man, and they do not know who to release from hell. We were born accidentally and afterwards will be unchanged: the breath in our nostrils is smoke, and the word is a spark in the movement of our heart. When it fades, the body will return to dust, and the spirit will dissipate like liquid air; and our name will be forgotten with time, and no one will remember our deeds. Our life will pass like a trace of a cloud, and it will dissipate like a mist, dispersed by the rays of the sun and weighed down by its warmth. Our life is the passage of the shadow, and there is no return from death for the seal is set, and no one returns. They that despise wisdom and instruction are unhappy, and their hope is vain, and labors are barren, and their deeds are vile. But the fruit of good works is glorious. but the righteous are bold as a lion." God the things that are God’s." Who will be our messenger?" I answered, "I will go! Send me!"